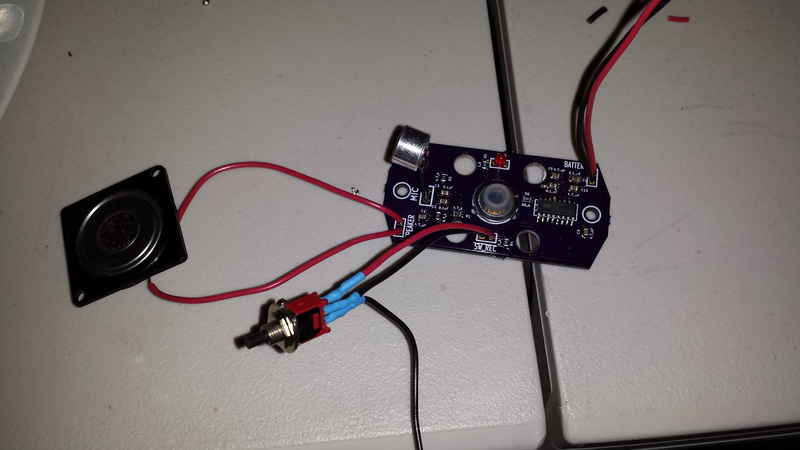 Even though I had to work on a Saturday, I did find time to solder a speaker, switch, the microphone, the LED, and a connection for the battery. As it turns out, the board worked the very first time I tried!! Even the pads I hacked together to use the playback button it comes with worked great! YAY!! Now I need to get it mounted in the easy button and we’re all good! This entry was posted in Easy Button by gunnbr. Bookmark the permalink.